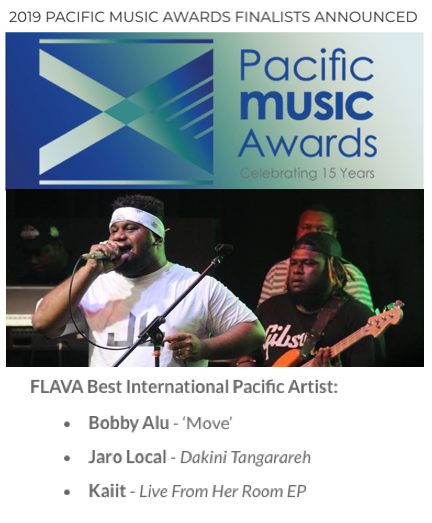 Jaro Local, the fast rising Island Music star from the Solomon Islands, has just been announced as a finalist at the 2019 Pacific Music Awards to be held in New Zealand next month on May 23rd 2019. The announcement of the finalists was made at the Otara Music Arts Centre in Auckland on Thurs 3rd April 2019. He is a finalist for the prestigious “Best International Pacific Artist of the Year” award. Previous winners of this award include major island music stars Common Kings, J Boog and Fiji. Jaro Local is the first artist to be nominated as a finalist from the Solomon Islands in the 15 year history of the awards.